Simple enough. The problem is that “managing fear” is a sales objection that stops many doctors from being able to help their potential patients in the first place. 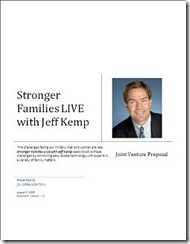 This, naturally, has a negative impact on a doctor’s ability to fill his sales pipeline. Interestingly, after a procedure has been completed, many patients announce that “it was nothing” or “it was much easier than I expected”. Dr. Richard Rothman, the most experience LASIK surgeon in Nevada (over 30,000 procedures) and the owner of LASIK of Nevada, recognized that instead of trying to explain away that fear on his website (which, by the way, PodWorx developed), it would be more helpful for potential patients to actually see what a LASIK procedure is all about. 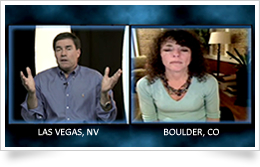 This coming Tuesday (6/23) at 5pm Pacific, PodWorx and LASIK of Nevada will do just that. 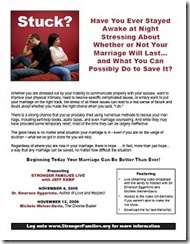 We will present a complete LASIK procedure LIVE, via streaming video. Featuring 104.3FM DJ “Cadillac Jack”, Dr. Rothman will pull back the curtain and show folks what the entire process is like. . .from the time Cadillac Jack arrives at his facilities, through the preparation and actual procedure, to the time he leaves, post-procedure, wearing his cool new Ray Charles sunglasses (and no longer having to wear regular glasses anymore). And guess what? This will be covered live on 104.3FM as well! Dr. Rothman has done many procedure on local DJs. One of the problems during these live remotes is that there tends to be a rush of callers listening to the show interested in getting LASIK for themselves. Occasionally, this rush of calls would overwhelm their switchboard, leaving potential patients to wait. . .and sometimes hang up. We will solve this problem as well. 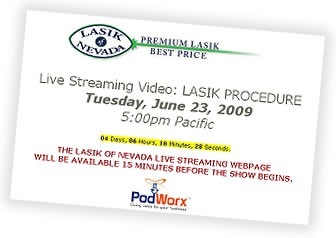 We have designed a live streaming video page that includes a simple form that folks can use to take advantage of the promotion LASIK of Nevada will be running during the live show. This way, nobody gets left out. A win for the listeners/viewers. And a win for LASIK of Nevada. Here’s the info for the show. If you’ve been thinking about LASIK, or are even remotely interested in live streaming video, I’d check it out. Now, here’s my question to you – how can you use Live Streaming Video to remove a sales objection in your business? p.s. 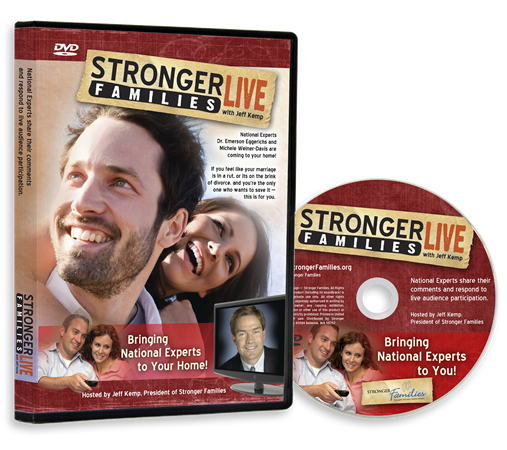 Almost forgot to mention. . .guess what LASIK of Nevada will do with the video that we’ll shoot during the live event? Exactly. Use it to add fresh, entertaining and educational content to their website. I have been spending much of the last few weeks preparing for our next live streaming video production. 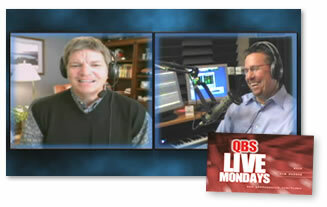 Called QBS Live Mondays with Tom Freese, this program is a twice-a-month live sales coaching program featuring five-time author, speaker and sales trainer Tom Freese. 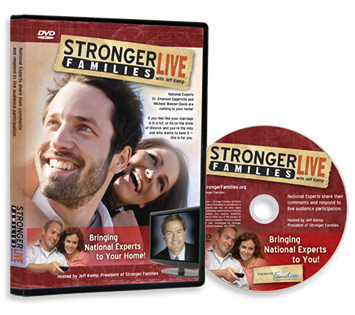 Delivered live on the first and third Monday of the month, each show is recorded before a live online audience and features sales strategies and a live Q & A session with Tom. I have been a big believer in Tom’s sales methodology for 11+ years. . .the content is outstanding. As you can see from the image above, the show features a host (Tom) and producer/co-host (me). 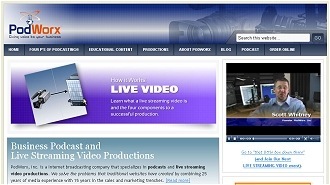 What’s especially helpful for Tom is that he’s able to link into the PodWorx video production studio via remote video access. In other words, while the video content is recorded and streamed out of the PodWorx studios in Las Vegas, Tom is on the other side of the country. If you are in any way responsible for the bottom line of your business, either directly or indirectly, I promise this is a show you do not want to miss. Tom’s sales experience is second to none. . .and the fact that he is offering this coaching free of charge is an incredible opportunity for all those who join us live or check out the archive/podcast content when time permits.